The University of Illinois, College of Engineering, and University of Illinois Alumni Association (UIAA) recognize outstanding alumni and faculty through various awards programs, honoring achievement, leadership, service, and humanitarianism that bring distinction to the honorees and the university. If you are aware of someone who deserves recognition, nominate them for the CS @ ILLINOIS Alumni awards, the UIAA's awards, and/or contact us at alumni@cs.illinois.edu. The Presidential Award and Medallion is given to recognize individuals who support and bring distinction to the University in profound ways. Separate from any other institutional recognition, this award is bestowed solely at the discretion of the president. Those recognized with an honorary doctorate have made a distinguished contribution to knowledge and creativity in the relevant field of endeavor, or have shown sustained activity of uncommon merit. The contributions may be made through a wide range of activities such as breakthrough scholarship, development of the creative arts, innovative professional work, public service, as well as outstanding activities in business, industry, and labor. The Engineering at Illinois Hall of Fame recognizes Illinois engineering alumni, and others affiliated with the College, who have significant achievements in leadership, entrepreneurship, and innovation of great impact to society. Each year the college will honor these remarkable accomplishments by inducting a class of honorees into the Engineering at Illinois Hall of Fame. 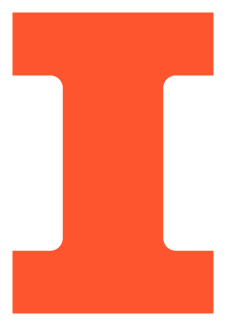 The Alumni Achievement Award, established in 1957, is the highest honor bestowed upon alumni of the University of Illinois by the Alumni Association on behalf of the University. The award is presented to those alumni who have attained outstanding success and national or international distinction in their chosen profession or life’s work, and whose accomplishments reflect admirably on, or bring honor to, their Alma Mater. In 1990, the University of Illinois Foundation recognized the many contributions of William E. Winter, past director of the Foundation, with an award named in his honor. This award recognizes individuals outside of the University structure who play active roles in securing private support for the University of Illinois.